"For the most part songwriting is very organic for me, ideas flow and I record them. I find inspiration and write lyrics. Sometimes it’s putting yourself in a spot where you need to be creative and I feel that I’m one of those people who can just be told, write a song now and I can write a song on the spot. So I just work in the way that is required for the project." 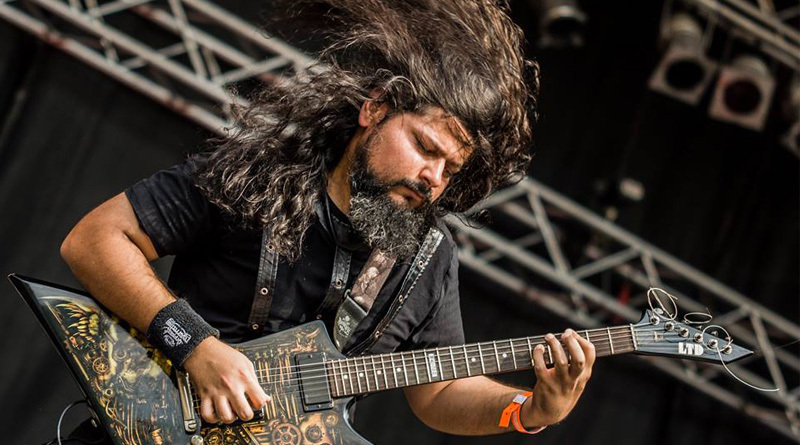 Sahil Makhija aka Demonstealer is a familiar name to anyone who is in the Indian metal scene. A musician, heavy metal chef, podcaster, music producer and zillion other things, he is a man of many hats. Apart from playing in bands like Demonic Resurrection, Reptilian Death and Workshop, he also has a solo project titled Demonstealer, and has recently released his second solo album titled 'This Burden is Mine'. So we asked few questions regarding the new album, songwriting and recording process, and plans for 2016. Read on! Guitar Gabble: Hi Sahil, thanks a lot for doing this interview with Guitar Gabble. How you’ve been? Demonstealer: I’ve been great. Extremely busy practicing, gigging, writing new material. Guitar Gabble: You recently released your second solo album titled ‘This Burden is Mine’. So, tell us about it. How has the response been so far? Demonstealer: So far the response has been incredible. I had a lot of apprehension about how the material would be received and especially about certain songs on the album but I can safely say I was pleasantly surprised by the response to the album. Guitar Gabble: How was the overall recording process for the album, since the album features several guest musicians as well? Demonstealer: It was a long process and extremely gruelling but at the same time a really beautiful experience. It’s always a pleasure recording musicians like Ashwin and Nishith. Both are so precise with their instruments and they deliver great takes. Daniel is super professional and he just recorded himself and sent it to me, his knowledge of music and even production is superb so I got great results. I had Daniel recording my clean vocals as well so for me that was really the toughest part because I had to be pushed to perform beyond my ability as I’ve never done an album with this kind of singing on it. I can safely say I’m a better musician and producer now at the end of this process. 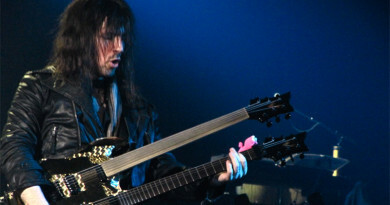 Guitar Gabble: The album features the mighty George Kollias on drums. How was the experience working with him? Demonstealer: George was amazing to work with. He is super professional. I sent him the material and he just nailed everything and sent it back to me. He recorded himself in his studio in Greece and the quality of the drum recording and performance he sent me was incredible. It was amazing collaborating with him on this project. Guitar Gabble: You recently debuted your solo project live. Do you see any possibility of touring with George Kollias like Skyharbor does with their international line-up? Demonstealer: I don’t see it ever happening as this is a sessions gig for George and he’s not part of the band as such. He is 100% committed to Nile and that is the only project he plays live with. I do hope to play a gig with him some day. I doubt it would be possible but one can hope. 🙂 Maybe if he comes to India for a drum clinic we could jam on a few of the tracks. However touring internationally with any line-up is extremely hard and I would love to do it but given this is a solo project I don’t have the kind of funds I need to make that dream real. At this point everything has to be invested into making DR a success. Guitar Gabble: How would you like to differentiate your solo work from Demonic Resurrection, considering DR is your brainchild as well? Demonstealer: While I might write most of the music in DR there is a very different sound to the music that DR makes as well as the lyrical content. There is also a lot of input from the rest of the band and the songs go through a different process before they are finalized. We have a very symphonic heavy sound in DR and my solo material is not like that. I also have different tunings on the guitar for both bands. So there is a fair amount of things that keep both projects very different musically. Guitar Gabble: What is your current setup like? Do you use a different setup for each of your bands? Demonstealer: I keep my set up fairly simple so it’s the same for all my bands. I use a Laney Ironheart or GH/VH head with cabinet and I run the Maxxon 808 drive pedal and a noise gate. My back up pedal is an Amp Tweaker for when I am unable to get a Laney at a gig. Guitar Gabble: You are a man of many hats. You play in 3 bands, run a heavy metal cooking show, and you also have a day job. How do you manage so many things simultaneously? Demonstealer: I kind of learned to manage my time early on and I designed my life in such a way that there is room for me to do what I want to. I do owe a huge debt of gratitude to my employers Furtados Music who have given me the privilege of working from home. Guitar Gabble: You are an active member in the scene for 17+ years. Any fond memories of playing music on stage all these years? Demonstealer: There are countless memories from so many different gigs. I just got back from one of the most epic DR gigs. It was at the NIT College in Imphal and the crowd was BEZERK!! I mean they were so loud and crazy it was incredible. We felt like rock gods. Truly an incredible experience. Guitar Gabble: How different is the life of an independent musician today as compared to when you started off? Demonstealer: It’s definitely much better now and hopefully it will only get better in the coming years. There are so many opportunities now that didn’t exist back in the day. Guitar Gabble: The advent of social media has bridged the gap between fans and musicians; also it has given rise to haters and trolls. What is your view on this, since you deal with many trolls on your ask.fm account? Demonstealer: Yes it most certainly has, lots of fans feel that they are entitled to be on your friends list or that you have to be a certain way with them and I don’t like that. I grew up at a time where your favourite musicians were inaccessible and you learnt to give them their space and didn’t need to be spoonfed everything. I just ignore trolls for the most part. You have to develop a tough hide to deal with this. Anyway it’s part and parcel of this choice and I deal with it the best I can. Guitar Gabble: As a musician, what is your philosophy towards writing music/how do you approach the songwriting process? 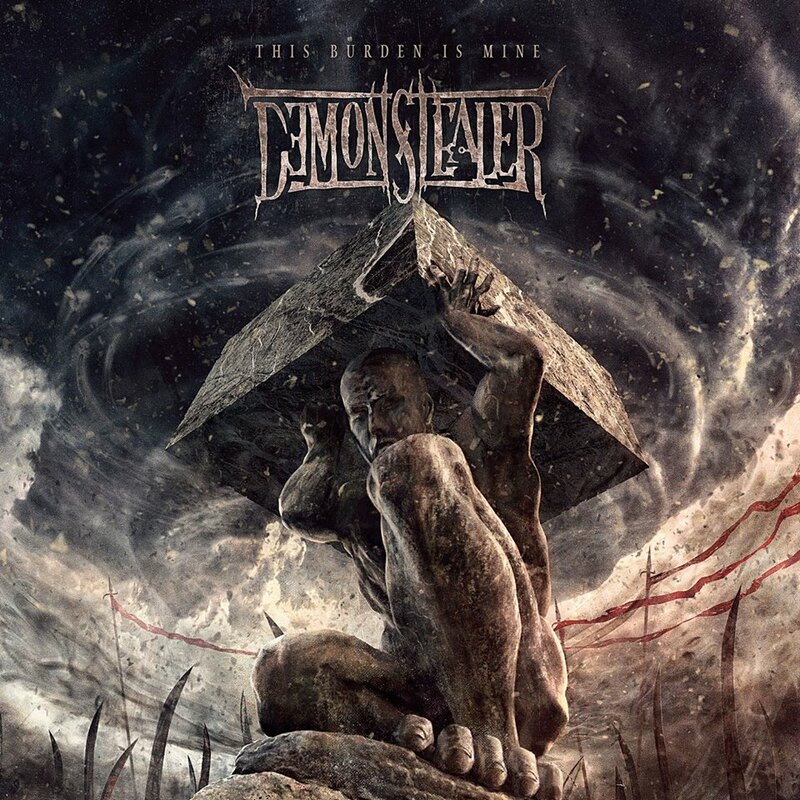 Demonstealer: For the most part it’s very organic for me, ideas flow and I record them. I find inspiration and write lyrics. Sometimes it’s putting yourself in a spot where you need to be creative and I feel that I’m one of those people who can just be told, write a song now and I can write a song on the spot. So I just work in the way that is required for the project. Guitar Gabble: Any tips/advice you would like to share with budding musicians? Guitar Gabble: What can we expect from The Demonstealer in 2016? Any plans for touring or album release? Demonstealer: I will be touring with my solo album when possible but right now my priority is to write and record the new DR album before this year is over. Guitar Gabble: So, here we come to the end of the interview. We look forward to listening to some more music from you in coming time. Thank you!